If you're as old as me you may remember the stock cartoon figure of the man walking up and down the street wearing sandwich boards declaring "The end is nigh!" You don't see that image any more. Most jokes wear out in time but perhaps this one has ceased to be funny because somewhere inside all of us have come to know it's not a joke any more. However much politicians and others may go on about getting the economy back into growth, deep down I don't think anyone really believes it will ever happen. In this book Richard Heinberg brings it all out into the open. He makes a convincing argument that we've come to the end of economic growth for three mutually-reinforcing reasons: debt, resource depletion and environmental degredation. Much of the book looks at the debt element. I must say this is the first writing on economics I've ever read which was as engaging as a good novel. Heinberg is a clear thinker and a gifted writer. His brief history of economics, culminating in the present stupendous explosion of debt which is far too great ever to be paid back, is a real page turner. Unfortunately the story doesn't have a happy ending, but if you want to know how money works (or fails to work) it's worth reading the book for that alone. Next he tackles the peaking of non-renewable resources. We've all heard of peak oil but all other sources of energy and minerals have their peaks too and most of them are coming up about now. Again, this part of the book is worth reading just for its clear exposition of the way the world works, particularly the inextricable link between energy and economic growth. A peak of particular note is that of phosphate rock, which is essential to conventional food production. 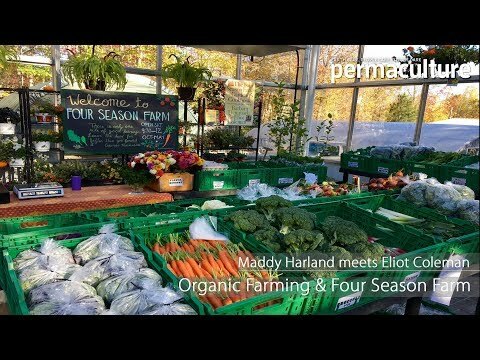 This is one place where permaculture techniques have much to offer. The third element, environmental degradation, gets less attention. If I have one criticism of the book it's that Heinberg minimises the importance of climate change. He treats it as nothing more than one factor among many which are going to make a return to growth even less likely. The reality is that in the long run it's the factor which looks set to do for us all. You could object that to announce of the end of growth is to look at the world as though Europe and North America are all of it. What about China, which continues to forge ahead at high rates of growth? Paradoxically, China's massive expansion just brings the end of planetary growth all the closer. Opening a new coal-fired power station every four days brings peak coal galloping towards us faster than ever, and along with it the peaks of all the other non-renewables which China is gobbling up. The 'peak' of a resource is that point after which the annual rate of extraction gets less and less, and economic growth can't take place in a world of shrinking resources. A planned transition to a post-growth economy would, of course, be very much less painful than the kind of crash that will follow persistent denial. But Heinberg sees no realistic chance of politicians admitting the truth and changing tack. He does, however make some suggestions about what individuals and communities can do and an extended version of that chapter is available free. It's also interesting to see what he himself is doing about it and you can take a look at that in this video, "Why the endf of growth can bring more happiness." I warmly recommend this book to anyone who would like to know what's really going on in the world. It's not only an important book but clear, accessible and easy to read. The main purpose of the book is to convince anyone who may still doubt it that economic growth is coming to an end. But it also looks forward to the solutions which can guide us to a post carbon future. A practical guide of strategies, techniques and useful tips to help you live a greener lifestyle. Maddy Harland reviews The East, an indie thriller starring permaculture advocate, Ellen Page, that deftly handles the subjects of corporate ecocide and violence, from more than one perspective. An innovative documentary about the planetary animal called Gaia and the human animal we deny at our own peril, yet a peril that is perfect in design.